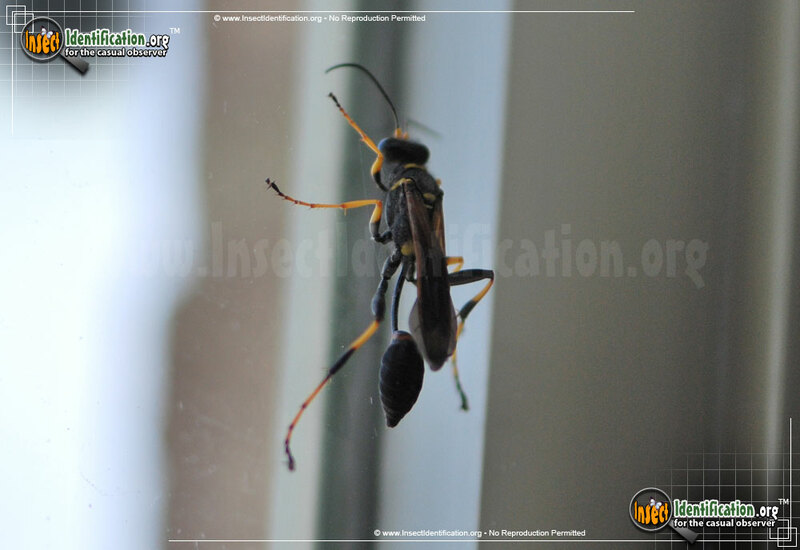 Detailing the physical features, habits, territorial reach and other identifying qualities of the Black and Yellow Mud Dauber. Bright legs and a dark body signal danger, but the Black and Yellow Mud Dauber is a less aggressive wasp species. 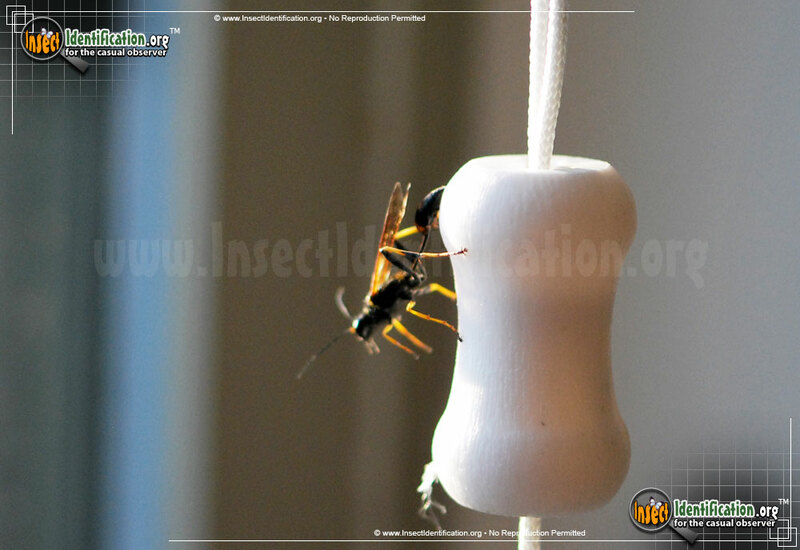 The alarming yellow and black coloration on the Black and Yellow Mud Dauber causes many observers to slowly back away. 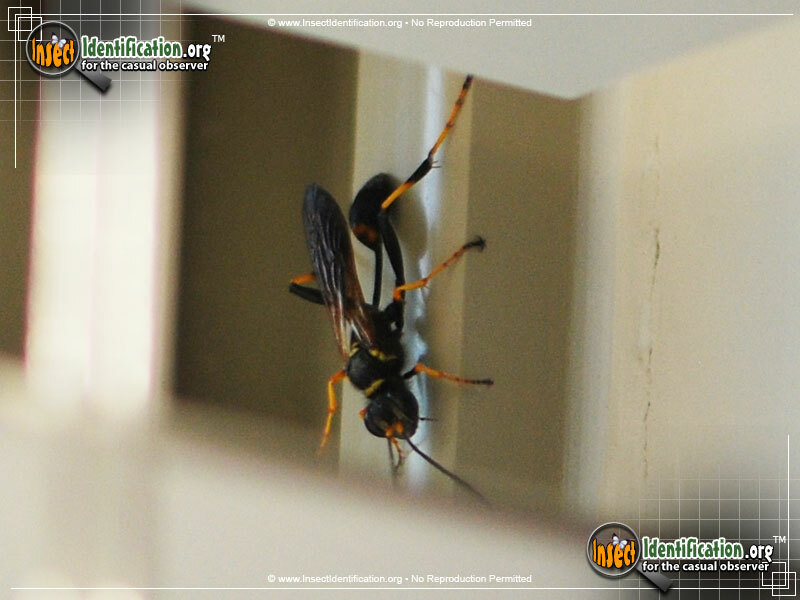 While this wasp is certainly capable of stinging, it is not immediately interested in attacking people like other wasps. The mild temperament of this species allows an observer more time to marvel at its needle-thin waist, yellow and black legs, curvy antennae, and pops of vibrant yellow decorating the head, thorax and abdomen. Pestering with and trying to handle any kind of wasp is not recommended, but this less aggressive species doesn't seem to mind a curious admirer. 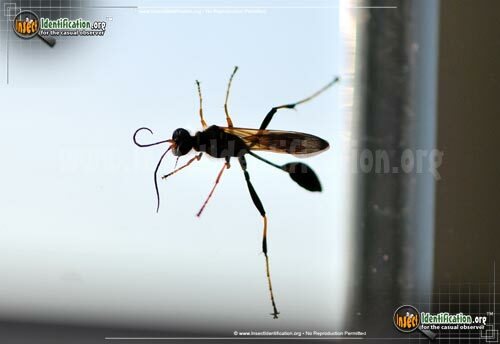 The name 'Black and Yellow Mud Dauber' comes from this species' coloring as well as its handmade creation. A dauber is a term used for an somewhat reckless painter. 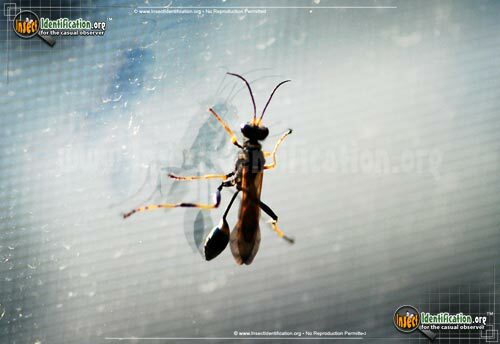 In the autumn, a female Mud Dauber forms mud into balls that are then hollowed out. These balls form cells for her eggs. The mud balls are roughly glued together with more mud to create a crude nest. Nests are usually placed under bridges or rocks, or along exposed beams of abandoned buildings or barns. These mud nests have also been found in garages, attics, and outdoor picnic shelters in parks. The mud nest is kept dry by the structure's roof or overhang. Females lay an egg in a cell and place several paralyzed spiders she caught in the cell with the egg. Once an egg hatches, the wasp larva feeds on the the immobile spiders in its cell. After growing in size, the larva will form a paper-like cocoon and overwinter in the cell. It pupates in the spring and emerges from its cocoon as a flying adult wasp.